Beit Hanina is a neighborhood in northern Jerusalem located along the historic rout between Jerusalem and Ramallah. Due to the uncertainties of the future of the are, a flexible master-plan was developed to the various political, social, economic and environmental scenarios that may occur. 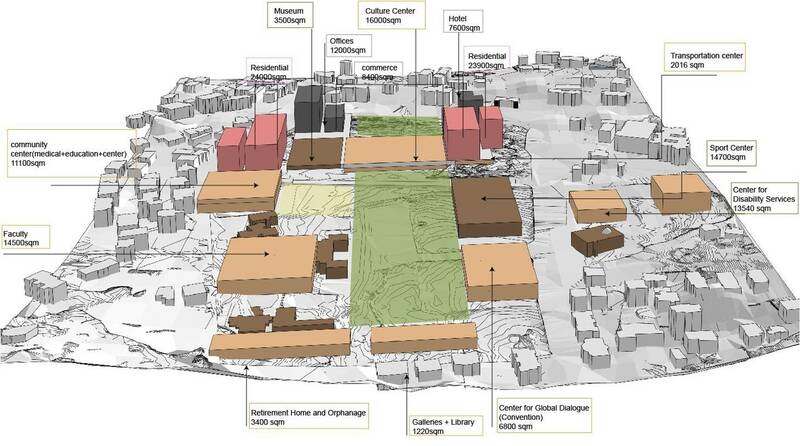 The urban plan stems from the following objectives: The first - Creating a public center for various populations of northern Jerusalem and the region, based on the strategic location of the site. 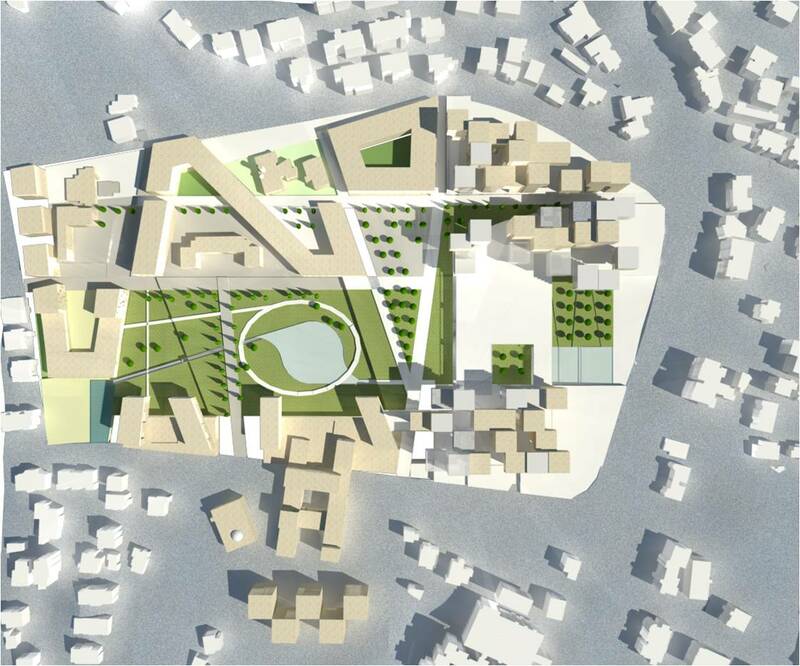 The second - Preserving the large urban scale of the site, while integrating into the existing urban fabric. The third - Creating a sustainable environment ecologically and socially. Integrating various programs and morphologies while protecting the values of the site and its surroundings.